After years of planning and development, PRJCT LLC was launched in early 2012 as an action sports design studio and small business consulting firm by industry veterans Jason Kanes and Marco Gonzalez. Jason, who serves as Chief Operating Officer at PRJCT, has been designing and manufacturing award-winning snowboards and other products for the action sports industry since the early 90’s. He is best known as a founder of Omatic Snowboards (with Todd Richards). Marcos, the CEO, is the founder of the Coastal Law Group LLP and brings with him plenty of experience working with a number of action sports industry companies throughout the years. PRJCT is able to couple Jason’s creativity and product development & manufacturing mindset with Marco’s business consultation and legal representation, and is surely poised to offer a truly unique suite of services to a wide range of companies. The Encinitas-based company specializes in technical design across the Action Sports hard and soft goods spectrum and is committed to bringing client's concepts to life. PRJCT is a full service creative and technical design studio with substantial experience in materials sourcing and production logistics. The design firm partners with private label brands to both enhance existing product offerings and bring new ones to market smoothly and efficiently. Read on for more on how PRJCT LLC manages to bring together more than 30 years of experience working in the youth lifestyle and action sports markets into a successful design studio and small business consulting firm. 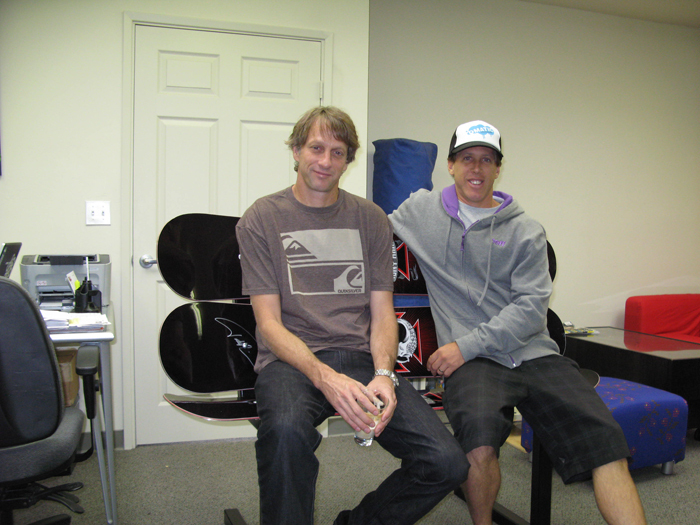 Jason Kanes with Tony Hawk - "We made these benches for his Stand Up for Skatepark foundation." Where is PRJCT based and what do you do? Prjct LLC is based in Encinitas, California. PRJCT is able to take your product concept through all phases including delivery directly to you or your sales channels. PRJCT has relationships with factories all over the world and we choose our manufacturer for each account based on a number of factors specific to the client, the product, materials and fabrication requirements, currency rates, etc. Our first goal is always to understand the client’s needs and demands for the product they are making. Is price-point the driver, or are cost considerations on the same level as a factory’s sustainability and labor practices? With more information and client relationship building up-front, the more likely everyone will be satisfied with the outcome. PRJCT is a fairly young business, having been started in 2010 - can you speak a bit on how you started up this action sports specific design studio and were you filling a hole in the market or was there other direct competition for you at the start and does the competition still exist? Indeed PRJCT is a relatively new company. However, we have put together a team that reflects decades of experience in various sections of the greater “action sports” industry. The idea for PRJCT was really an outgrowth of the Omatic Snowboards brand and the challenges experienced in the snow sports market. We basically realized we had all of the tools and relationships necessary to service a broad range of start-up and established companies’ needs, from product development and sourcing, to corporate structure and financing consultation. Expansion of our business to provide services to other companies, rather than focusing only on Omatic, gave us the opportunity to drive revenues year round and to be involved with some really exciting companies and projects. PRJCT is able to offer technical design services for a whole range of products: hard goods, accessories, apparel, and more – what sorts of product do you work with the most? There really is not one product category we focus on more than others. While we have the deepest experience in private label snow hard and soft goods, that sector really only scratches the surface of our capabilities. Over the last two years we’ve done a lot of consulting on skate hardgoods, technical luggage/bags, electronics protection, point-of-purchase, and fashion/active technical soft goods. What we really enjoy is the diversity of services and offerings PRJCT can provide. It keeps every day fresh and interesting. What have been the most popular product designs from a sales standpoint which the PRJCT team has been responsible for? I would have to say the all the merchandise PRJCT designed and manufactured for the Woodward Camps brand, as well as the In-Store Wall units and shelves we did for moto/mountain bike company One Industries. 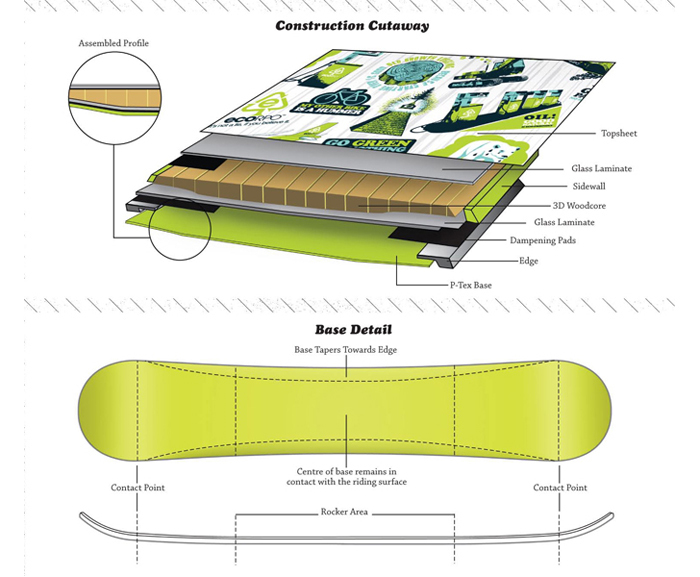 Of course, we continue to make Omatic Snowboards, which have their own dedicated following. Can you speak on the process of taking a client’s design idea from concept to production, how does that work? At PRJCT, we have a very collaborative design philosophy. We start with face to face meetings with the client to fully understand not just the product concept, but also the vision behind the brand and the consumer demographic that will be targeted. We investigate the brand’s other products, marketing materials, sales strategy, etc. The more we know about the company and its goals, the better our products will turn out. (We also find that the PRJCT team’s diverse skill set enable us to add value through business consultation that arises out of the design process.) With a product concept ironed out, we then work with our team to develop themes, materials options, graphics, and other technical aspects of the product. After additional client input, we narrow down the factories that might be appropriate for the product and begin the prototyping process. From there it’s a matter of communication between designers, engineers, and client to refine the product until it meets everyone’s expectations for quality, price, and timeliness. How much does the process vary (if at all) from client to client, or even project to project? Some clients want to touch every piece of the design process. Others give us a concept and only want to see prototypes. Others know us well enough to simply place an order and let us run with it. It varies greatly from client to client and project to project. First and foremost, we have way more ideas than there is time or money to produce. It’s both the benefit and burden of working with creative people daily. Given the current state of the economy, we’ve also seen the difficulties our clients are having with cash flow, investment capital, and access to credit. It’s always a bummer to get a project to the production stage only to have things delayed or the plug pulled because the client ran out of funding. Who are your biggest business clients/partners? We consider all of our clients to be partners of PRJCT, and they are important to us regardless of size. A lot of our biggest clients are private label deals, so for marketing purposes they are seen as the manufacturer and our role is to be in the background making them look good. Sometimes the relationship isn’t conducive to PRJCT taking a lot of credit for the work we’ve done, but we’re good with that. How did you form business relationships with notable brands like Nixon, Monster Energy, and Vitamin Water, among others? All of our relationships come from a combination of the quality products we design and build coupled with the personal relationships developed over years in the industry. Sometimes our deals spring from a surf session or a chair lift. Other times, they come from a referral after someone sees a killer project we’ve completed. Looking back, can you think of any particular favorite products or designs that were developed by the PRJCT team? 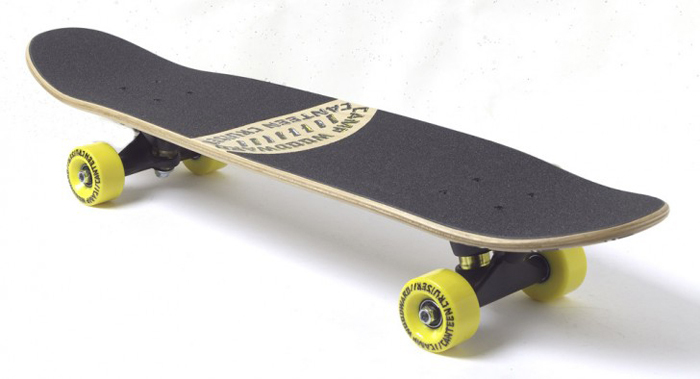 On the product side, it’s definitely been the snowboards and related hardgoods. However, we have helped a number of start-ups get off the ground with business consulting and marketing services, and that’s been pretty satisfying as well. What products or designs is PRJCT currently working on? Are you looking to add more businesses to your client list? Right now we’re working on a number of projects, but some new ones include cycling protection (pads and helmets), technical triathlete bags, and new products for the Woodward Camps stores. PRJCT is always looking for new clients and projects, including a recent focus on expansion into the European action sports community.